If you have read my previous post, you would know that I recently moved to a new city. I am still settling in and figuring out worthy places to shoot at, but until then this wall will suffice. 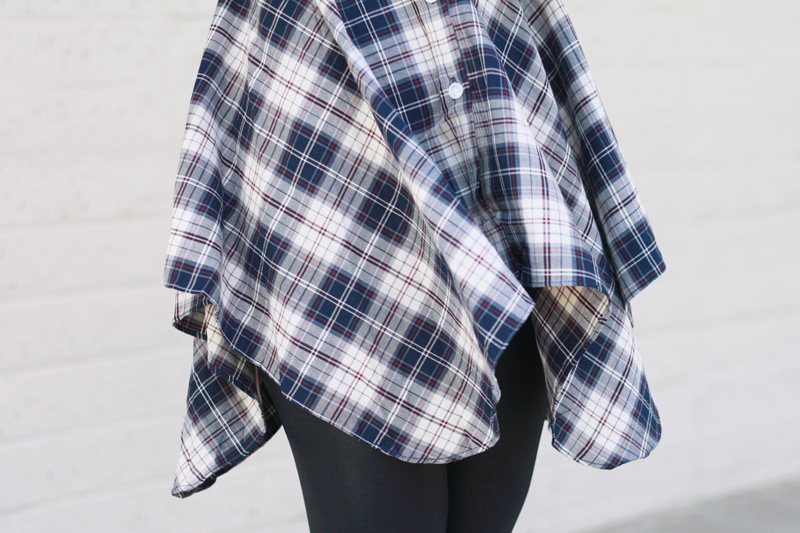 It was oddly windy the other day so I pulled out this awesome button down tunic, the combination of the lightweight plaid bodice and the cable knit sleeves was perfect for the breeze. Not only do I love the contrasting textures and patterns, I also love the denim collar and cuffs as well as the asymmetrical hem. I paired it with some leather leggings, Miista croc print booties, and my new leather fringe bag in the most gorgeous shade of taupe gray from Irene's Story. On a different note, tomorrow is my birthday and I am taking a mini roadtrip to the Madonna Inn to celebrate! Follow me on Instagram as I'm sure I'll be posting tons of photos during my stay! 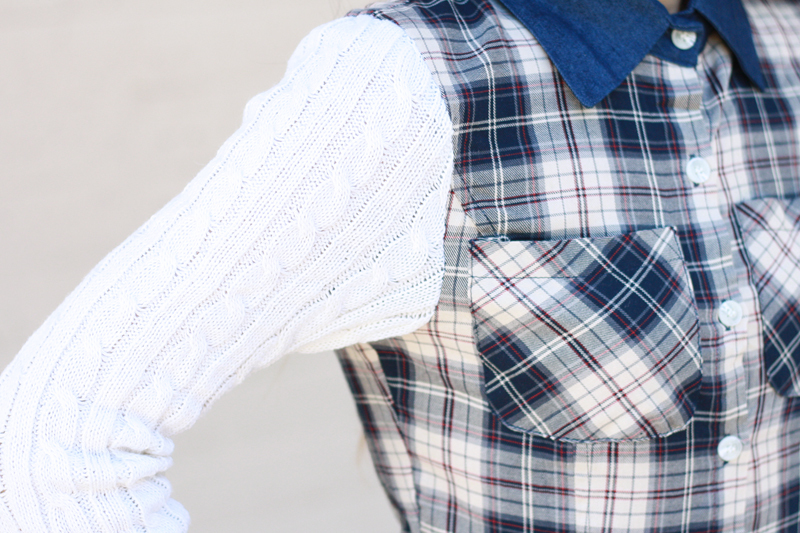 Plaid tunic top with contrasting cable knit sleeves c/o Mart of China. 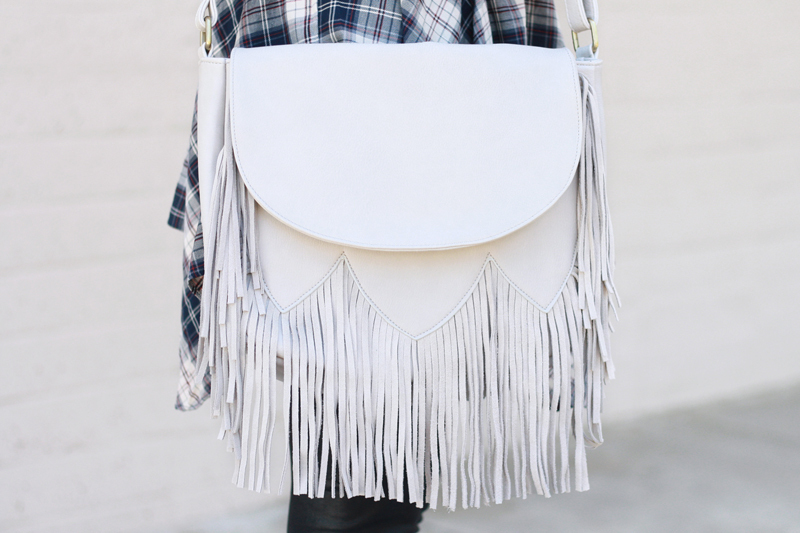 Leather fringe bag c/o Irene's Story. Nia croc leather boots by Miista from Solestruck. Very grunge chic :) Happy (early) Birthday! That dress is amazing! Love the shape of the skirt! 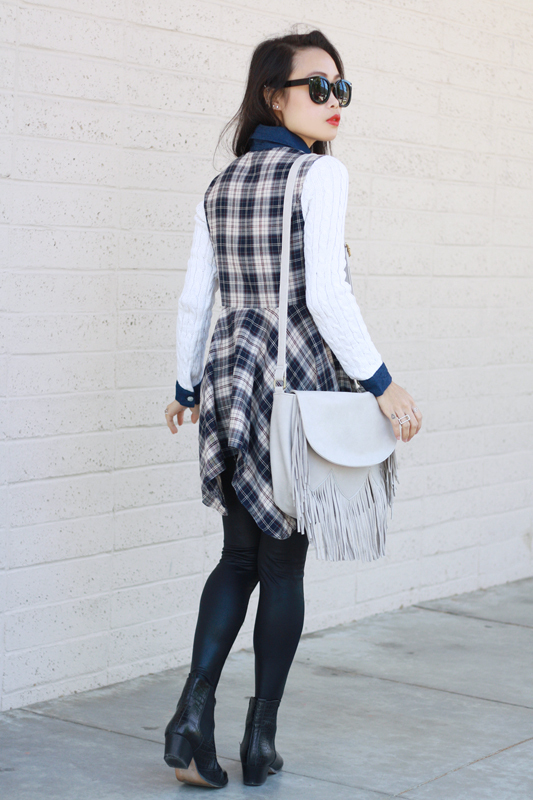 Gorgeous outfit, loving the plaid! Hope you have a lovely Birthday tomorrow!